S.K. Gakhar | I.K International Publishing House Pvt. Ltd.
S.K. 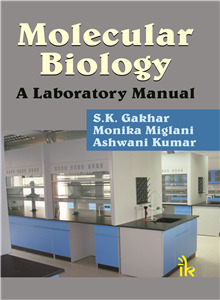 Gakhar is a Professor of Biotechnology, Dean, Faculty of Life Sciences, Maharshi Dayanand University, Rohtak. He has served the University in various positions like Director, Directorate of Distance Education; Director, Computer Section, Director of Public Relations. At present he is also holding the charge of Director, Centre for Bioinformatics and Centre for Medical Biotechnology. He is associated with teaching of molecular biology for the last 25 years at Post- graduate level and engaged in research in the field of malaria parasite & mosquito vector interactions.